Hello all, new to this forum but i was wondering, has there been any talk from Sega about the next addition to it's tennis franchise? No, as I recall they never talk about tennis game this year. 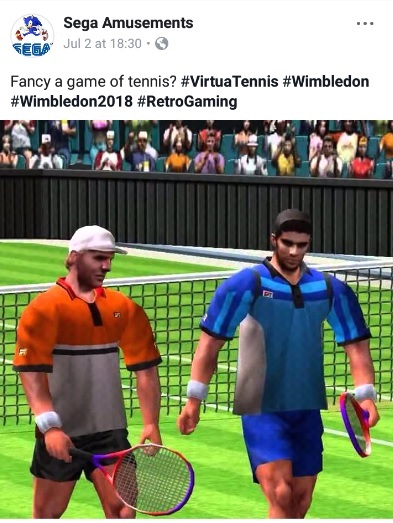 Last year the only time they mentioned tennis was where they announced that Virtua Tennis Challenge (2012) would be re-released on Android and iOS for free — within their Sega Forever service. Nothing more. Kind of a shame since Tennis can be fun as a party game and in the arcade, but it's just overshadowed by Fighting and Action/Adventure type games.